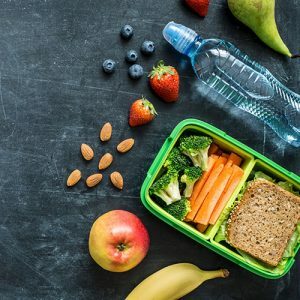 Students are expected to bring a lunch to school every day. The school’s expectation is that each student will come to school with a nutritious lunch, such as: sandwich, fruits/vegetables, and chips. Students are welcome to bring healthy beverages; however, milk is provided daily by the school. No form of chocolate product, sugared and caffeinated soda or desserts, including snack cakes, pudding and cookies is allowed. Lunches should come to school in a bag or lunch box clearly labeled with the student’s name and will be refrigerated until lunchtime. For safety reasons, students may not bring thermoses. No food or drink can be transported in a glass container. Factory seals must be intact on packaged beverages. Upon arrival, any beverage that is open will be disposed of. Lunches may not be shared or traded. No take-out food in “fast food” packaging can be accepted at Britten School. Although leftovers may be an acceptable lunch, please know Britten School cannot provide microwave facilities for student use. Britten School provides subsidized lunches in keeping with state and federal regulations. These lunches consist of a cold sandwich, fruit, vegetable, and milk. Junior high and high school students receive extra protein in their lunch. Unfortunately, we cannot provide subsidized lunches on a part-time basis. In order for a child to receive a subsidized lunch, the parent/guardian is required to complete documentation for eligibility. These forms have to be completed on a yearly basis through the child’s home school district. Unfortunately, Britten School cannot provide subsidized lunches without appropriate documentation on file. Students who forget their lunch will receive a carton of milk and a piece of fruit. Students have the opportunity to purchase hot lunch that is served once a month. If a student receives a subsidized lunch, then they will be provided with a hot lunch on Hot Lunch Day. Because of health reasons and bus regulations, uneaten food items will be disposed of. Please pack only what your child can eat during a 30-minute lunch period.